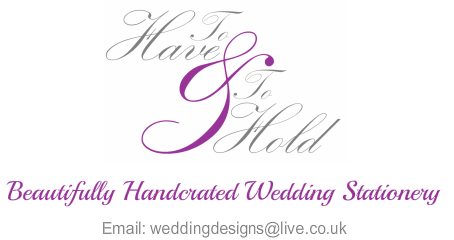 We offer order of services in a variety of designs, all of which have co-ordinating stationery to match. 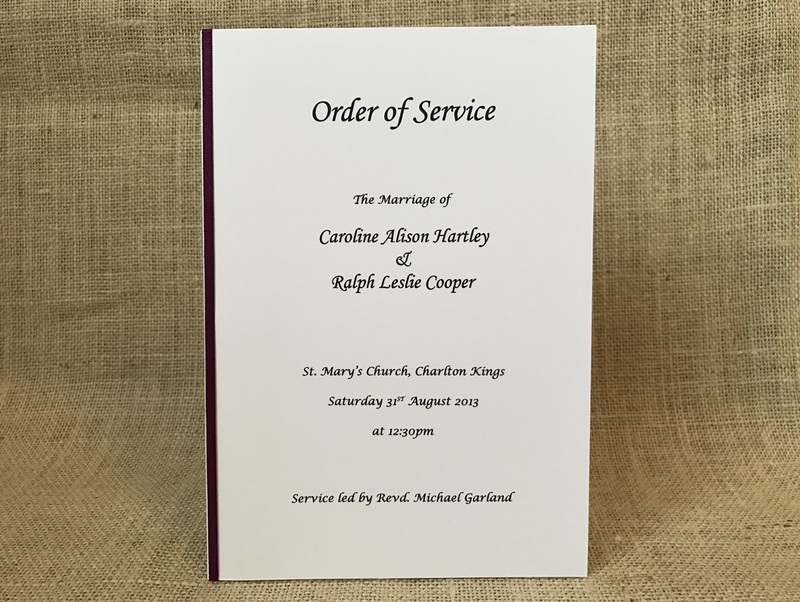 To see examples of these please see our 'decorated order of services'. 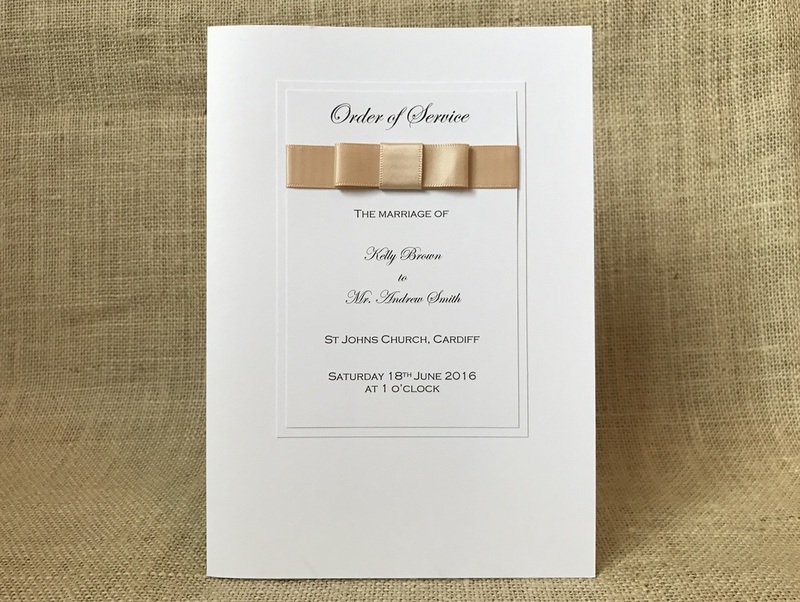 Alternatively we also offer 'plain order of services' as a more affordable option.